Britain’s ambassador to Israel rejects call by UK academics to boycott Israel, says his government opposes boycotts. Britain’s ambassador to Israel on Monday evening stressed that the UK is opposed to boycotts of Israel, after a group of 343 British university professors signed a letter supporting such a boycott, which will appear as a full-page advertisement in the Guardian newspaper on Tuesday. “The British Government firmly opposes calls to boycott Israel. We are deeply committed to promoting the UK’s academic and scientific ties with Israel, as part the flourishing partnership between the two countries,” Ambassador David Quarrey said in a statement. 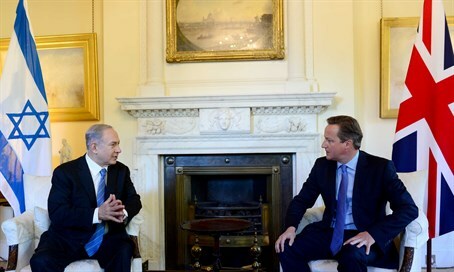 “The reality is one of rapidly strengthening trade and tech links between Britain and Israel. As David Cameron has said, the UK Government will never allow those who want to boycott Israel to shut down 60 years worth of vibrant exchange and partnership that does so much to make both our countries stronger,” he added. The letter by the professors follows last week’s call in the same Guardian newspaper by 150 British writers, artists and musicians who urged dialogue between Israelis and Palestinian Arabs and stressed their objection to boycotts of Israel. The group was established in response to a letter in the Guardian in February, signed by around 700 artists, which called for a cultural boycott of Israel. The February letter was blasted by Yesh Atid chairman Yair Lapid as “shallow and lacking in coherence”. Lapid added said that those who are calling for a boycott of Israel “are ignoring some painful truths”.